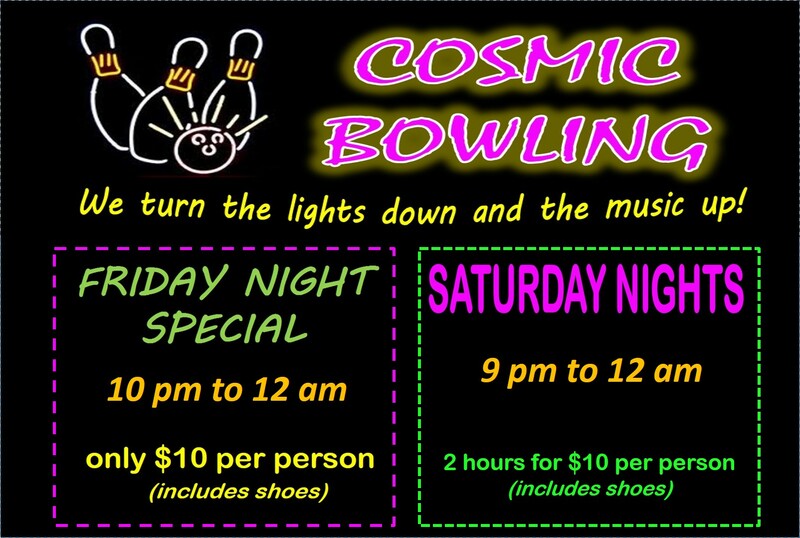 Your Cosmic Bowling Experience in Manhattan! Cosmic Bowling is the hottest bowling experience in Manhattan. Black lights teamed up with loud heart pumping music makes this the most bowling fun around. Our lanes even glow in the dark during Cosmic Bowling. 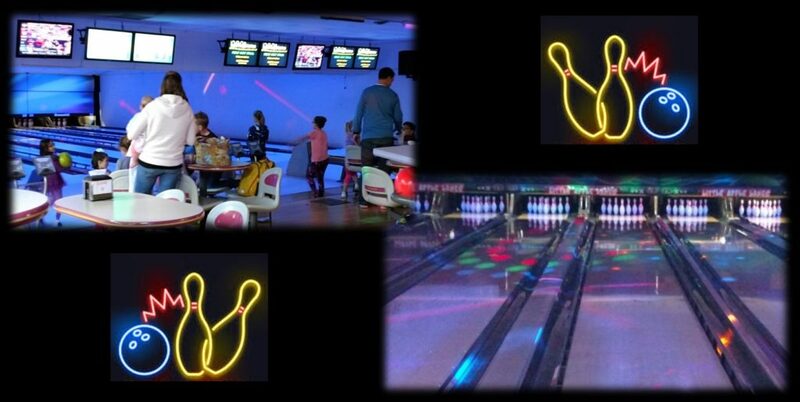 Enjoy our Cosmic all day every day on the back 8 lanes! Join us on the weekends where we turn the whole house into our awesome Cosmic! Call (785) 539-0371 for lane availability or to make a reservation.